Scorpios are frosty on the outside. Their poised and controlled surface is carefully designed to hide their scorching inner nature. 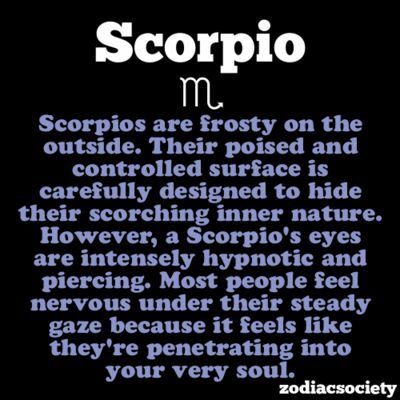 However, a Scorpio's eyes are intensely hypnotic and piercing. Most people feel nervous under their steady gaze because it feels like they're penetrating into your very soul.